Peppers, which belong to the genus Capsicum, come in a variety of colors, shapes, sizes, and flavors. Bell peppers (available in green, yellow, orange, red, and even purple) make a nice addition to a salad or plate of crudités. 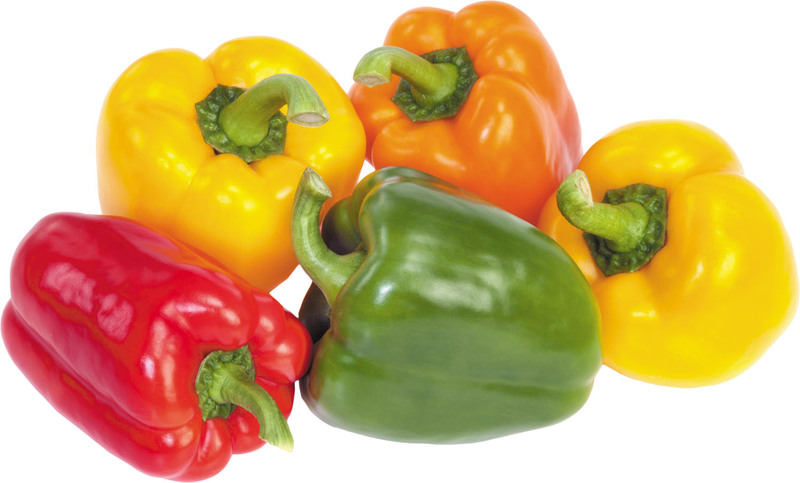 Supermarkets carry bags of assorted mini bell peppers that are convenient both for snacking and using in recipes. While sweet bell peppers are crunchy and mild, hot peppers — such as jalapeños, serranos, and habaneros — provide a tongue-tingling punch of heat. They contain varying amounts of the phytochemicals responsible for the spiciness in hot peppers. Known as capsaicinoids, these compounds may offer several heart-related benefits. For example, people who eat spicy foods — especially chili peppers — tend to eat less salt and have lower blood pressure. Capsaicinoids may also improve cholesterol values and blood vessel function. Nutritional info: One medium bell pepper contains only about 30 calories and is rich in vitamins C and A. Bell peppers also contain a range of antioxidants, which have been associated with a lower risk of cardiovascular disease. Easy recipe: Slice sweet mini bell peppers in half lengthwise and remove the stem, seeds, and white membranes. Fill halves with hummus or goat cheese. Sprinkle with chili powder, if desired.